This enchanting lake in the heart of the Brecon Beacons National Park will leave even the most hardened cynic in awe. 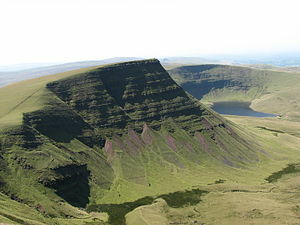 Surrounded by the highest peaks of the Black Mountains, it’s steeped in folklore stemming the Lady of the Lake legend, lending it an other-worldly quality. A four-mile circular walk will take you up along the river, revealing the dramatic glacial cirque at the top of a ridge. Here you can soak in the scenery or ponder the meaning of life amid one of the most ethereal natural landscapes Britain has to offer. And when you’re done chanelling your very own Plato moment, head down for a bite to eat in the excellent Neuadd Fawr Arms in nearby Llandovery.